It’s so hard to keep my money because there’s too much online shopping for me. Sometimes I really do wonder if there’s any platform that can give me money when I purchase something?! 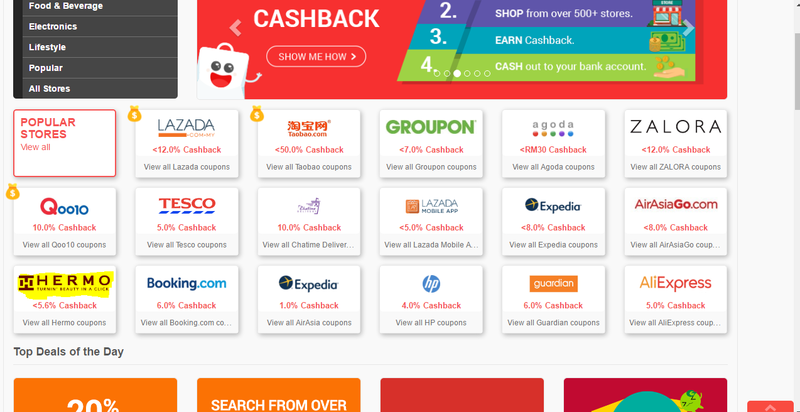 Then I was introduced to this best cashback site in Asia by my boyfriend, a website that really gives rebates to me in cash when I shop online, and the best thing is some of my favorite online shops are listed in the ShopBack. 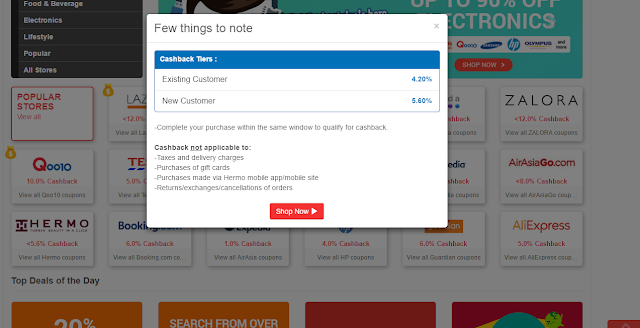 That’s mean I can get rebate on top of all the discounts when I purchase products from the any website provided it is in the list. 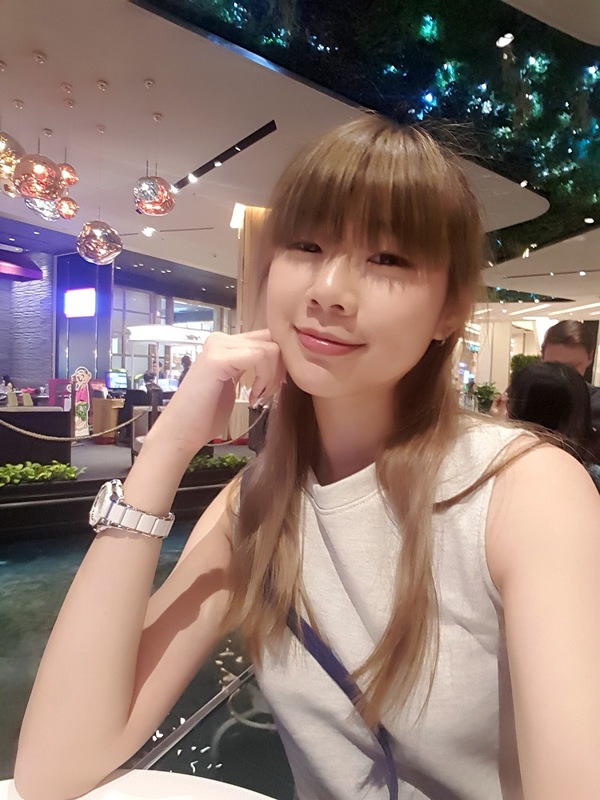 The way to use Cash Back was pretty easy, whenever shopper, like me perform any successful transaction on the online shop that is linked from ShopBack, the merchant who gains from the purchase will give commission to ShopBack and ShopBack will return a cuts of its commission back to me. Means even if there’s discounts, I still earn my cash! And to really get the cash, just transfer it to your preferred local bank. Remember to sign up or login to your account first. Then you will be redirected back to their home page. And you can easily spot all the online stores available. 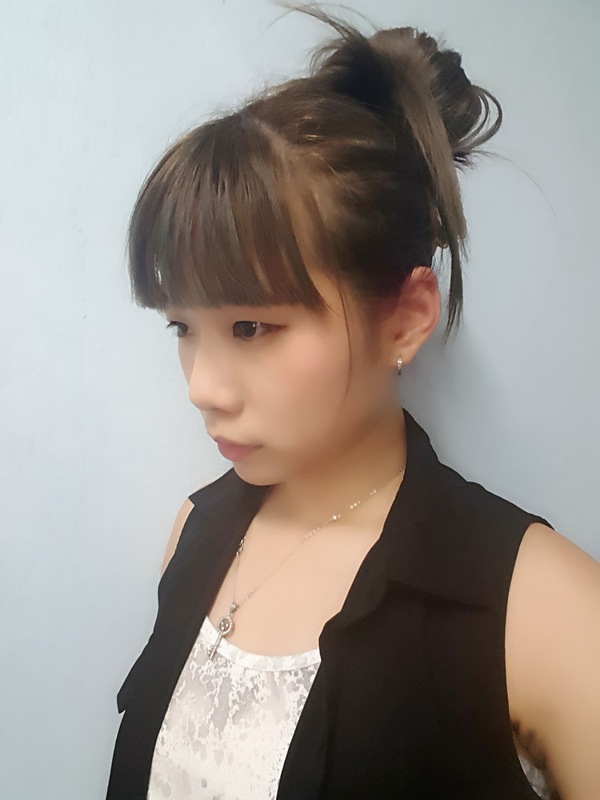 For this time, I will try to purchase from Hermo. A menu will pop up and show you some instruction on how to use ShopBack to purchase from online stores. Basically it is better that your transaction for purchases is complete within the same windows. If there’s any payment failed or page cannot load, please do click again on the online stores from ShopBack, else your purchase might not capture by ShopBack. Kindly click on Shop Now to start your shopping! 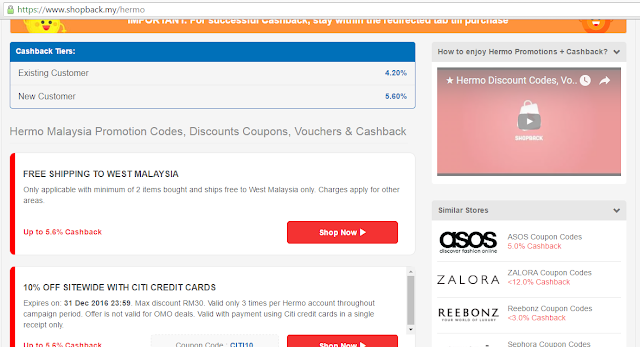 After you click on Shop Now, you will be redirecting to Hermo website. You may noticed the URL of the website will be a bit longer. Well, it’s normal since you redirected from ShopBack website. So now you may start your shopping within this windows until you checkout and made your payment successfully. That is how easy it is to shop with ShopBack! Other than that, at ShopBack Website, if you click for the online stores, you can actually view the promotion and vouchers that they have in stores currently. So it can help you save more cash while you buy something. Find the latest Hermo vouchers and discount codes. If you are interested in any other beauty deals, you may look for it in ShopBack too! Enjoy the best beauty deals at ShopBack. If you wanna know more about ShopBack, here’s a video for you to clear your doubts! For more information, you may just visit their website at https://www.shopback.my/! That’s all for my updates!